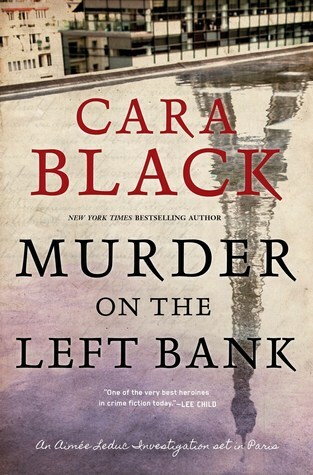 I finished reading Murder on the Left Bank by Cara Black, published June 19, 2018, Soho Crime, the 18th in the Aimee Leduc Investigations series set in Paris. 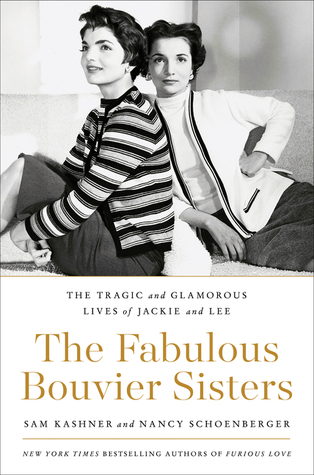 I was not disappointed in this new book and love that the author includes so much of Paris in her novel. People, places, streets, atmosphere are all here and would mean a lot to those who have walked these streets in that great city, and mean so much more to those who want to visit and travel in the main character's, Aimee's footsteps. A notebook holding secrets from the WWII past of Paris is stolen, and people are being killed by those who want to find and destroy the notebook's damaging evidence. Aimee makes it a point to follow up on these murders and find the incriminating evidence, even while putting her baby in harm's way. A mixture of danger and suspense blends the personal and the professional life of private investigator Aimee, as she goes about her duties while following her deep sense of justice. A five star READ. 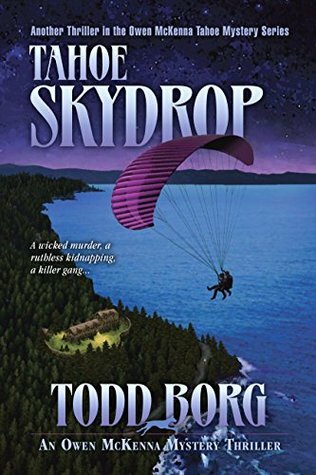 Tahoe Skydrop, the 16th in the Owen McKenna Mystery Thriller series, will be published August 6, 2018 by Thriller Press. Thanks to the author for a review copy. Review will be coming soon. I'm enjoying the book right now! I haven't yet decided which of my library books and TBR books I'll tackle next. 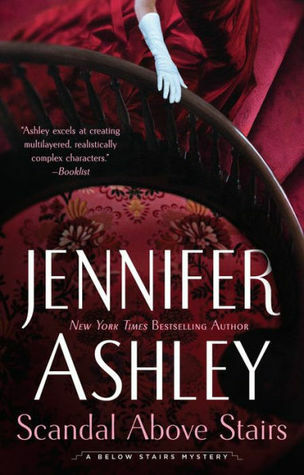 There are several on my ereader too that I have started andwant to finish! 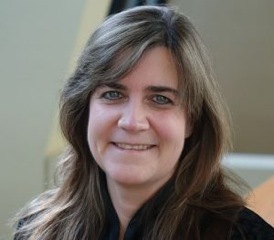 News of Our Loved Ones by Abigail DeWitt, October 2, 2018. 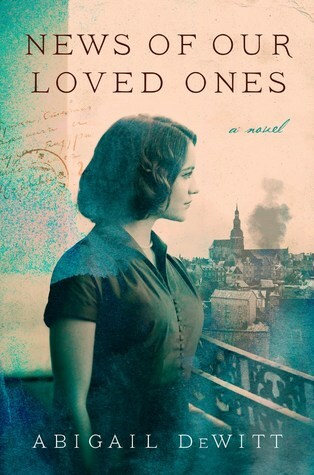 A novel of two generations in France and America affected by the D-Day bombings in Normandy. 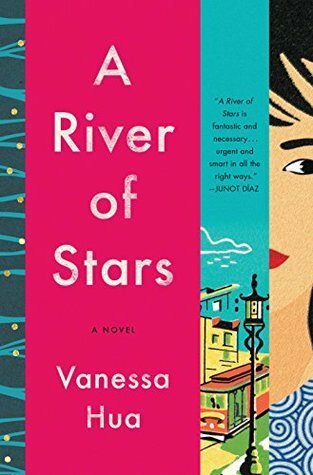 A River of Stars by Vanessa Hua, borrowed from NetGalley, August 14, 2018. What happens or could happen when a pregnant Chinese woman visits the U.S. for "birth tourism" so that her baby can have U.S. citizenship? 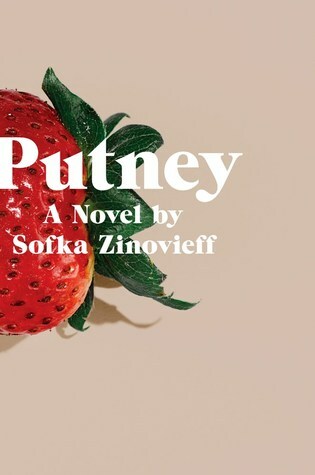 The novel gives us a fictional scenario when a naive young woman is persuaded by her wealthy lover to stay at a special maternity center in California. After the Monsoon by Swedish writer, Robert Karjel. This is an excellent thriller set in Djibouti, Africa, about pirates on the open ocean, kidnapped sailers, ransom demands, and the war on terror. 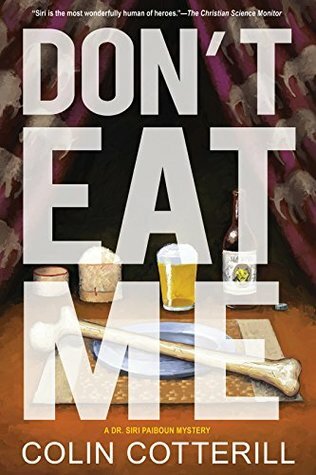 I promised myself not to buy any more books, but this one was not available on NetGalley or at the library, so I bought the ebook! 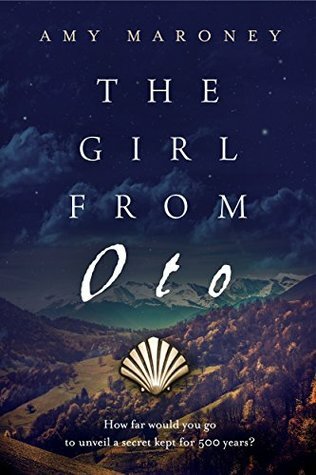 I was interested in The Girl from Oto by Amy Maroney, not only because it's an art history mystery, but because it also takes place on the Camino de Compostela in Spain, a new interest of mine, and a place on my bucket visit to visit and do. 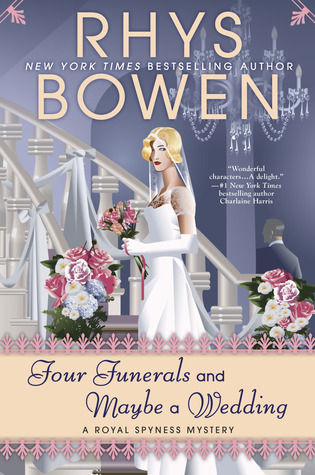 Four Funerals and Maybe a Wedding by Rhys Bowen is the 12th in the Royal Spyness Mystery series, Georgie, who is the queen's personal spy, is planning her own wedding but a murder intervenes to take time away from her planning. I am almost finished reading a memoir, To Siri With Love: A Mother, Her Autistic Son, and the Kindness of a Machine by Judith Newman, August 24, 2017, and am learning a lot about autism, how it manifests and how parents can cope. In this case, the boy Gus finds a "friend" in Apple's Siri, as she gives him all the information he asks for and responds to him in a somewhat personal way, as personal as as the AI can get. 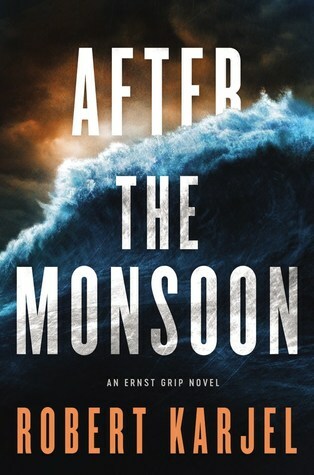 After the Monsoon by Robert Karjel, (Ernst Grip #2). I'm almost finished with this one, set in Djibouti in the Horn of Africa, a novel dealing with Somali pirates, a kidnapped family of four from the open seas, a murder of a Swedish lieutenant on Djibouti, and the fight against terrorism. Quite eye-opening and suspenseful. Murder on the Left Bank by Cara Black, the 18th in the Aimee Leduc Investigations series set in Paris. 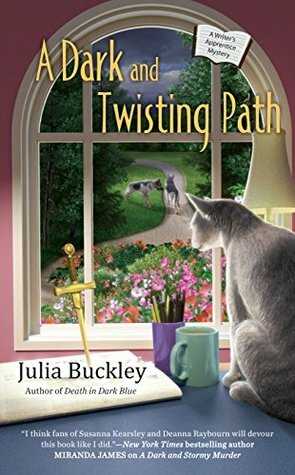 A Dark and Twisting Path by Julia Buckley, the 3rd in A Writer's Apprentice mystery, features an apprentice to a suspense novelist, set in a small town in Indiana. 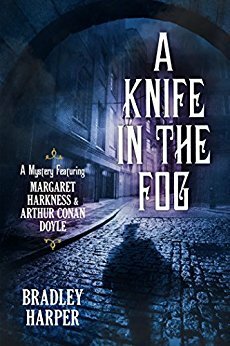 Meme: It's Monday, What Are You Reading? by Book Date. Samurai spy and assassin, Hiro Hattori, accompanied by Fr. Mateo, travel to a Buddhist temple on Mount Koya, to warn another samurai spy from his clan of future danger and to send him to alert other samurai in their group. Hiro and Fr. 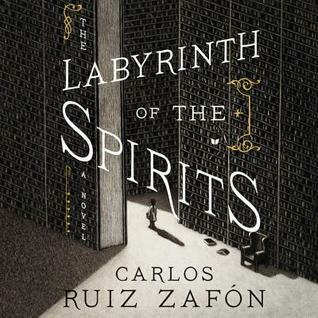 Mateo and the spy become trapped at the temple by horrendous snow storms. When sudden murder follows upon murder, Hiro fears for the life of Fr. Mateo and is determined to protect the priest from the unknown killer. 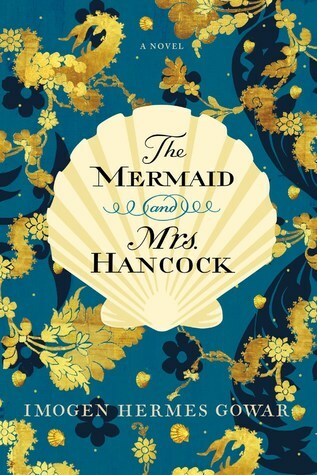 The author says the murder situation, with an isolated setting, was inspired by one of Agatha Christie's well known novels. 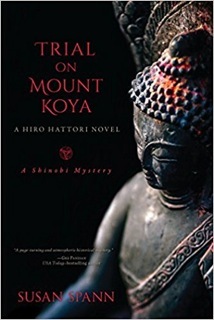 The mystery gets the reader involved in the world of samurai codes of conduct and behavior, Buddhist principles and their similarities and differences with Christian beliefs, Buddhist temples and their priests and ceremonies of those days. One of the customs that stand out is the attitudes towards women, who were barred from entering the grounds of certain temples and holy places. Follow Susan Spann on Facebook as she climbs Japan's mountains and tells about the mountain temples she is barred from entering, even today. I was intrigued not only by Buddhist doctrine in Hiro's day, and the discussion of Fr. Mateo with Mount Koya priests, but also by the samurai codes and conduct that seem very real and plausible for those historical times. The well planned plot of the book, the identity of the culprit is almost impossible to guess, plus well developed characters and good writing, come together for a very enjoyable and enlightening mystery novel. I'm looking forward to the next of Hiro's adventures. For more reviews on this tour, see the review schedule. Also see the author's guest post on visiting the temples for her book. "I question your judgement, Hiro." Father Mateo looked at the sky, which should have burned with the fiery colors of a mountain sunset. Instead, a menacing wall of greenish thunderclouds churned overhead. "We can beat the storm to the temple." Hiro Hattori increased his pace and tried to ignore the angry meow that arose from the basket in his arms. ... a teenage girl’s intoxicating romance with a powerful older man and her discovery, decades later, that her happy memories are hiding a painful truth. 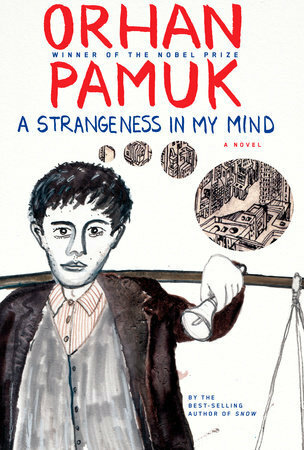 the unforgettable tale of an Istanbul street vendor and the love of his life. I love the way he writes. He makes simple people come alive and he easily pulls you into their lives, rural or otherwise. Enjoying also Reader, Come Home: The Reading Brain in a Digital World by Maryanne Wolf. All readers will be enlightened about how our brain works, how the neurons light up when we read. The author also discusses how digital, fast reading, and skimming on the web, rather than deep reading, will change our brain circuits. Scary? I'm staying in and doing more reading during these very hot and humid days of 90 degrees. the heat index has gone up to over 100 on some days! Apart from watering the grass and flower beds, we have not gone out much.